Recent rumours suggest that Sony are working on new privacy settings for the PS3 and PS4 to allow users to hide their Trophy count and lists from other users. 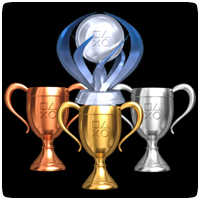 At the moment, trophy information is publicly available for any PSN user, meaning anyone can look at what games you’ve been playing. The rumour comes from a “well-placed source” and a few snippets of code apparently found in the latest PS3 Firmware v4.45, which has since been pulled by Sony for bricking consoles. The new privacy features will likely be implemented in the same way as the PS Vita’s privacy options, allowing users to hide their activity and friends list from other users. PS3 Firmware v4.45 contains API references to “set_privacy_level” and “get_privacy_level”, suggesting that it’ll be a network-wide option, and one that is likely to appear soon. The same options are likely to appear on the PS Vita in a future firmware update too.